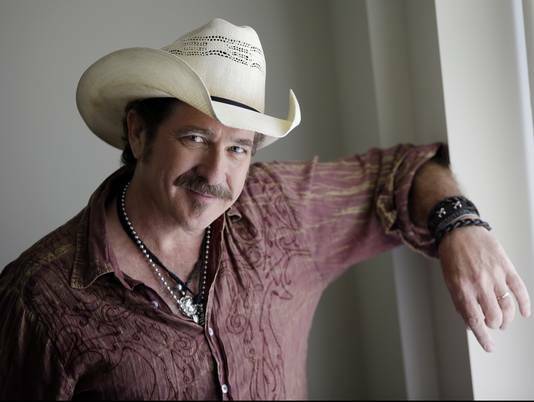 Attendees feasted on crawfish remoulade, sipped Abita root beer and listened to the funny anecdotes of country star Kix Brooks during the Only in Louisiana brunch Saturday, a pre-Grammy party at the Dorothy Chandler Pavilion downtown. Crab cakes, catfish courtboullion and bacon pecan pralines prepared by Monroe, La., chef Cory Mahr sold the audience on the charms of Lousiana, as did an enthusiastic culture-themed sales pitch from Lt. Governor Jay Dardenne. But it was music that kept the crowd transfixed long after waiters cleared the tables. Wayne Toups, nominated with Steve Riley and Wilson Savoy for The Band Courtbouillion in best regional roots music album, performed, as did accordionist Corey Ledet, who competes in the same category for his Nothin' but the Best album with Anthony Dopsie and Andre Thierry. Fiddler Joel Savoy played and joined a finale of several Louisiana musicians on hand to celebrate the state's deep musical roots. Other artists from Louisiana who are vying for Grammys: Frank Ocean, Hunter Hayes, Dr. John, Ledesi, Lil' Wayne and Ellen DeGeneres. It's the sixth year Louisiana has staged the event. Why don't 49 other states do the same? "Louisiana has had such a rich history of Grammy nominees and winners," says Dardenne, who is spearheading a nationwide ad campaign to lure visitors to the state's bounty of fine food and music. "Food and music go together in Louisiana. Where there's music, there's good food. Where there's food, you'll hear great music." He notes that state tourism, especially activity in New Orleans, has returned to pre-Katrina levels, and that the seafood industry also has rebounded from the BP oil spill. "Tourism is a huge industry for us," he says. "It creates jobs. And people take great pride in what we have to offer, not just in New Orleans but in all the nooks and crannies of Louisiana."